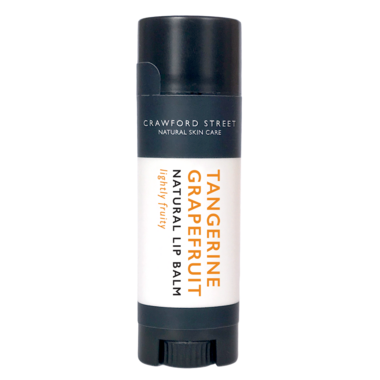 Crawford Street Tangerine Lip Balm will hydrate and soothe dry and chapped lips. Using ingredients like Grape Seed Oil, Shea Butter, Jojoba Oil and Beeswax, this lip balm will leave lips soft and smooth. Directions: Apply to dry lips regularly.